Home / National Security Agency (NSA) Data Centers and the Data Center Optimization Initiative (DCOI): What’s the Impact? National Security Agency (NSA) Data Centers and the Data Center Optimization Initiative (DCOI): What’s the Impact? The efficiency initiative Data Center Optimization Initiative (DCOI) from the Office of Management and Budget (OMB) is changing the management of federal government data centers, including the mammoth-sized, one-million-square-foot National Security Agency (NSA) facility located in Utah. This new initiative requires agencies to develop and report on data center strategies to consolidate inefficient infrastructure, optimize existing facilities, achieve cost savings, and transition to a more efficient infrastructure. The mandate requires agencies to install and use energy metering tools, an essential piece of DCIM software, to collect data and report on energy usage. While the NSA may be most infamously known for the controversy surrounding its data collection practices, its energy expenditures at the NSA data center in Utah have also come under fire in recent years. Concern over the energy required to run the data center is notable particularly because of the facility’s relative newness. 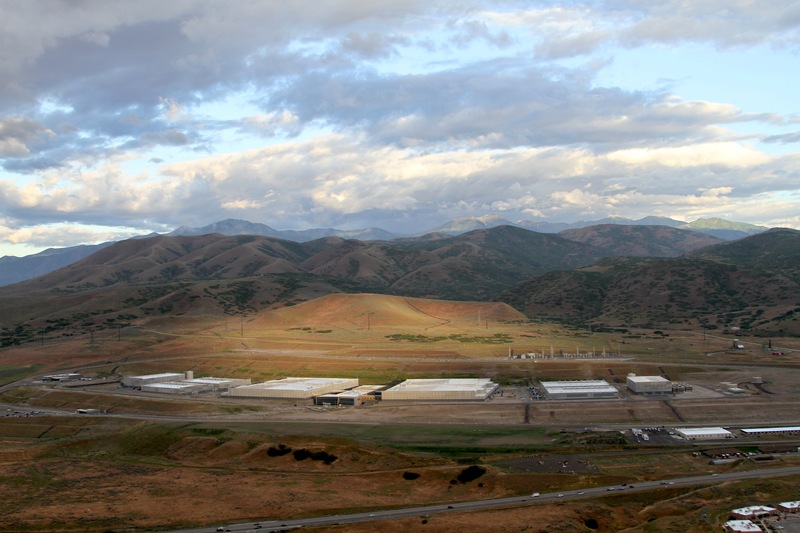 Recently completed in 2013, the NSA data center in Utah was estimated to take as many as 1.7 million gallons of water per day and 65 megawatts of electrical power and its own substation to keep the facility cool and the lights on. In 2014, reports of meltdowns and power surges had the NSA feeling the heat despite uncertainty as to how much water was actually being used. In Utah, a desert area where drought is frequently a concern, the water usage was significant enough that lawmakers were considering a bill that would allow cutting off water to the facility. The NSA data center’s water usage became such a point of contention that the records dating back to 2011 were made available under a public records request. One reason that energy efficiency strategies were not employed during build-out seems to be the expectation that the initial water usage estimate was projected for well into the future, providing NSA data center managers with time to plan for conservation and other methods for going green. How could massive data centers like the NSA’s become more energy efficient now? As presented in the DCOI, energy monitoring tools, including those available through Data Center Infrastructure Management (DCIM) technology, can improve energy conservation efforts. DCIM allows data managers to automatically monitor data center assets and measure energy usage, power usage, virtualization efforts, server utilization, and facility utilization. The resulting information can reduce costs while increasing energy efficiency, leading to better strategic decisions to comply with the regulations of DCOI.